TAP levels beginning, intermediate and advanced, featuring both rhythm and show tap. PILATES to assist with body alignment, posture, flexibility, balance, abdominal strength, and a reduction in back, neck and joint pain. ZUMBA taught by certified Zumba instructor Pearlene Brar. 1. STRENGTH. Taking ballet can give you just as much strength as training with small weights. This gradual increase of strength will make your movements more fluid, both in dance class and in your everyday life. 2. ENDURANCE. Ballet won’t just increase your basic strength. Our adult students have seen improvement in their stamina and cardiovascular endurance. You may be pleasantly surprised at how effortlessly you can walk up multiple flights of stairs. 3. COORDINATION. 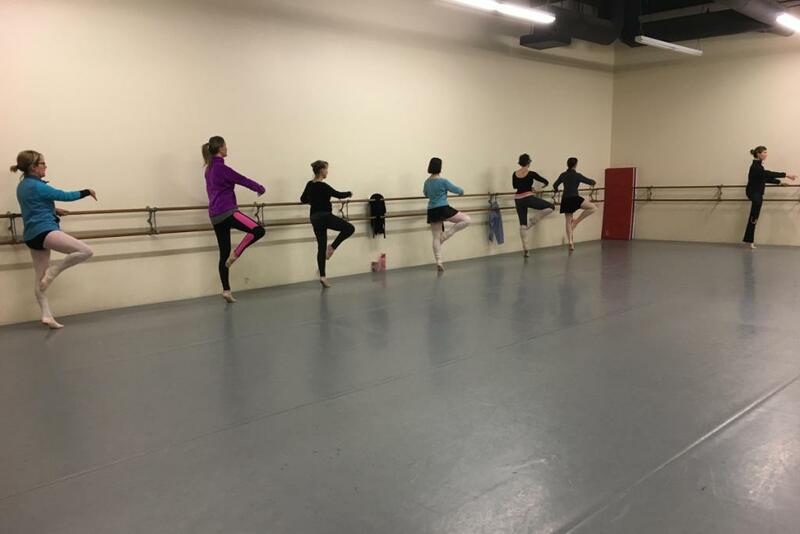 When you utilize the stabilizing strength ballet provides, you get a nice side effect: improved coordination. In a world full of computers and phones, it’s easy to feel disconnected from your body. Ballet can put you back into it! 4. FLEXIBILITY. A portion of the class is devoted to stretching, so it seems natural one’s flexibility would improve. It’s not always about getting splits all the way, as any improvement is a definite asset! 5. POSTURE. Ballet is based on good posture. Students will often tell us that they have improved posture due to increases in core/postural strength and body awareness. 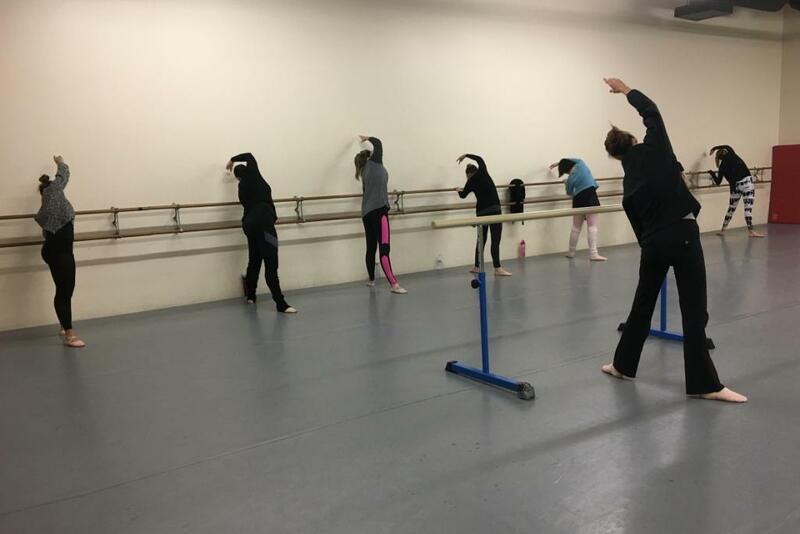 Even professional dancers use the kind of ballet exercises used in beginning adult ballet classes to maintain their posture. 6. IMPROVED POSITIVE ENERGY. Ballet releases powerful endorphins which can lift one’s spirit. 7. COGNITIVE DEVELOPMENT. 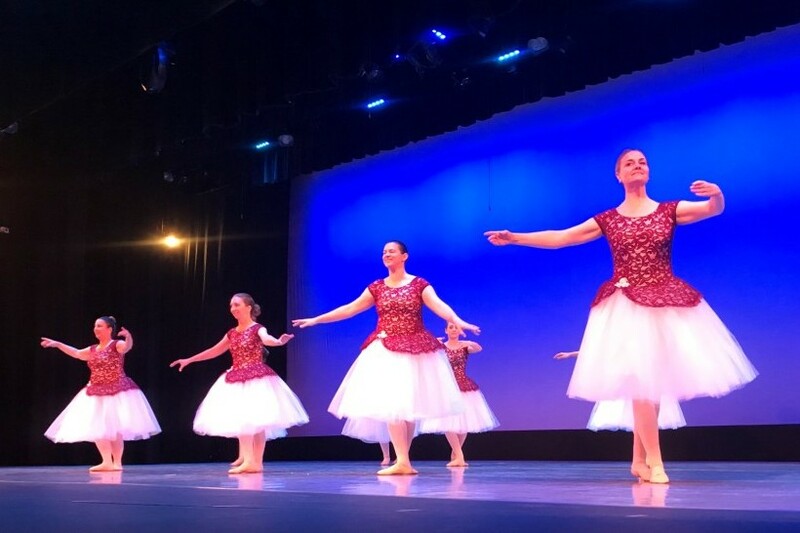 Adult ballet students feel an increased sharpness in their cognitive function. This is due to the mental processing one must accomplish in class. Medical studies show that dance training can possibly slow or prevent Alzheimer’s. Learning combinations on the left and the right, as well as balancing, works the brain in new ways. Learning ballet routines can keep your mind sharp- stretching not only your muscles, but also your memory. 8. WEIGHT LOSS & BODY IMAGE. 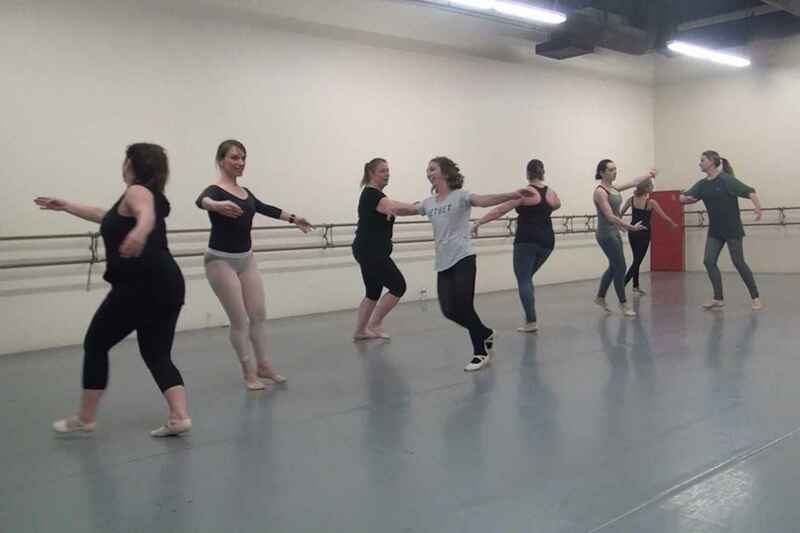 Ballet is an excellent “all in one” exercise, combining extensive stretches with concentrated movement. Excess fat is shred and muscle tone improves. The great thing to know is anyone can do ballet, and that health can be achieved at every size, shape or age! 9. CONFIDENCE. Ballet is a challenge and takes years to learn. You would think that this would deflate confidence, but results consistently show the opposite. Adult students are often telling us that they’ve experienced an increase in their self-confidence, and feel better about themselves. Realizing that you can learn a new skill at any point in your life is a huge confidence boost. 10. CLEAR MIND/SENSE OF CALM. Recent scientific studies have proven that dance can increase your overall life satisfaction. The deep concentration needed to remember ballet positions and routines clears the mind, like meditation. Students report a better sense of well-being after class well beyond the time spent in the studio. 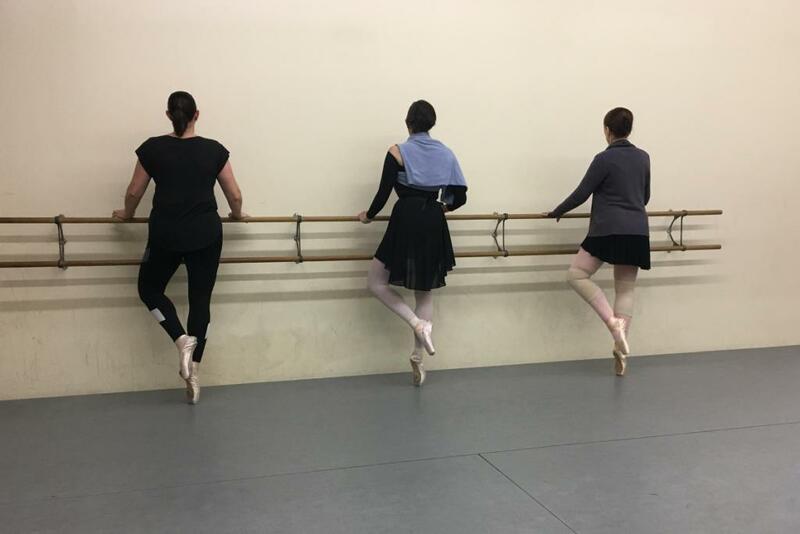 Taking adult ballet classes is a great form of stress relief. The combination of physical intensity and concentration required help clear my mind, no matter how preoccupied. Adult ballet students can get a few hours of being able to turn their brain off and just be in the moment.